What’s old is new again. Just like vinyl, instant-print cameras are making a return to the mainstream as people come to realize that sometimes having physical objects is better than ones and zeros on your computer. 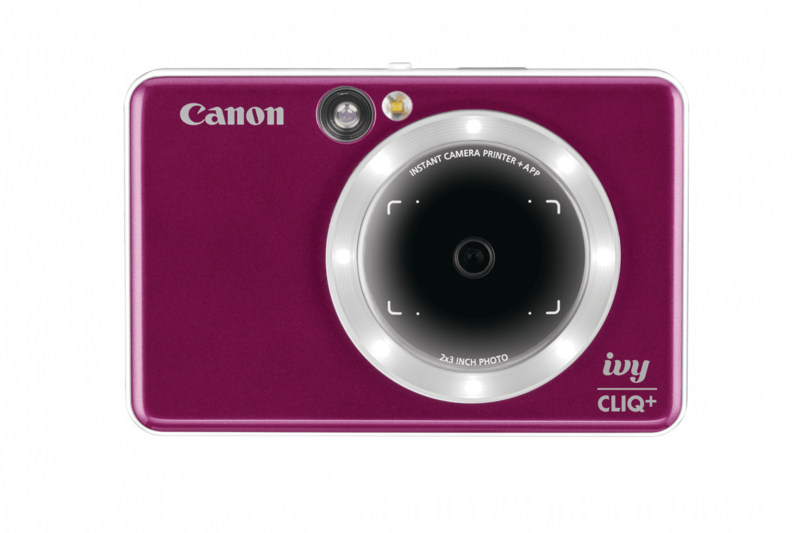 Now Canon is doubling down on the trend with the launch of its Ivy Cliq and Cliq+ cameras. You’ve seen this formula before, perhaps most famously by Fujifilm’s Instax family. The Cliq cameras are essentially cheap digital cameras with a built-in printer. But rather than sticking ink onto plain old paper, they use Zink paper, a technology invented by Polaroid that uses heat to activate different dies embedded into the paper itself. Each camera is capable of making 2×2 and 3×2 prints and can hold 10 sheets of Zink paper. They use an optical viewfinder for framing, and you can connect the cameras to your phone via Bluetooth to access things like filters, frames, and text overlays. The cameras have a selfie mirror because it’s 2019, and use a MicroSD card if you need to store more than one image. They come in a variety of cutesy colors too. The Cliq+ differentiates itself from the cheaper model by using an 8-megapixel sensor instead of a 5-megapixel one, featuring a ‘reprint option’ for sharing an image with a friend, and including a small ring-light around the lens to make the images look a little more professional. The Ivy Cliq will retail for $99.99 when it goes on sale in April, While the Cliq+ will cost $159.99. Each includes 10 Zink sheets. Keep in mind that given the fancy technology, Zink more expensive than regular photo paper; a pack of 50 will cost you about 24 bucks on Amazon. Without trying the cameras ourselves, we can’t say whether they’re any better than the Fujifilm cameras or the variety of other Zink products out there. Canon’s photography pedigree might mean something here, but we’ll let you know whether it’s worth your money when we get our hands on a unit soon. NVIDIA Shield TV Android 8.0 Oreo update rollout is back on! June 28, 2018 Comments Off on NVIDIA Shield TV Android 8.0 Oreo update rollout is back on!